The San Diego Unified School District has agreed to settle a lawsuit with Voice of San Diego over email archives. If approved by the judge, the deal will last five years. 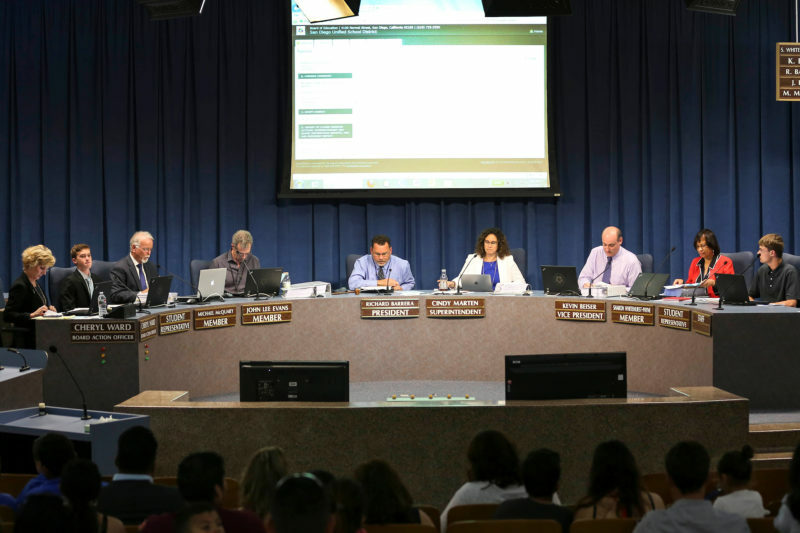 San Diego Unified has agreed to a new policy in which the district will retain employee emails for two years before automatically deleting them. The agreement was reached as part of a settlement between the district, Voice of San Diego and San Diegans for Open Government after the district’s Board of Trustees initially approved a policy that would have allowed for the destruction of an untold number of emails, some of which were likely the subject of Public Records Act requests the district had not yet fulfilled. That meant documents that might shed light on issues of tremendous public interest – such as what district officials did in the run-up to a 2017 budget crisis, and how it has handled complaints of employee misconduct – would be permanently destroyed. Voice of San Diego and San Diegans for Open Government filed lawsuits seeking to halt the policy’s implementation. In August, a San Diego judge put the policy on hold. The terms of the agreement last for five years. The district also agreed not destroy and emails that are at issue in pending lawsuits, or that are subject to public records requests during that time. Under the settlement, the district will pay $20,000 in attorney’s fees to San Diegans for Open Government, and $32,500 in attorney’s fees to Voice of San Diego. The settlement – if it is approved by San Diego Superior Court Judge Ronald Styn – puts to rest one issue within a broader lawsuit filed by Voice of San Diego against San Diego Unified over the district’s failure to produce records under the California Public Records Act. Voice of San Diego is represented by attorney Felix Tinkov in the suit, which will proceed. In November 2017, for example, Voice of San Diego requested the district’s records on substantiated instances of sexual misconduct by its employees over the last 10 years. The district said it would take until Dec. 11 of this year to produce the records – more than a year after the initial request. This week, that deadline came and went without a word from the district. That lawsuit remains ongoing, and is set to go to trial in May 2019. Correction: An earlier version of this post incorrectly stated that the district can’t shorten its email retention period after the five-year settlement runs out; it can.